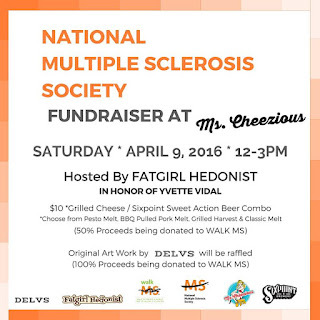 Fatgirl Hedonist: MS Society Fundraiser at Ms. Cheezious! MS Society Fundraiser at Ms. Cheezious! 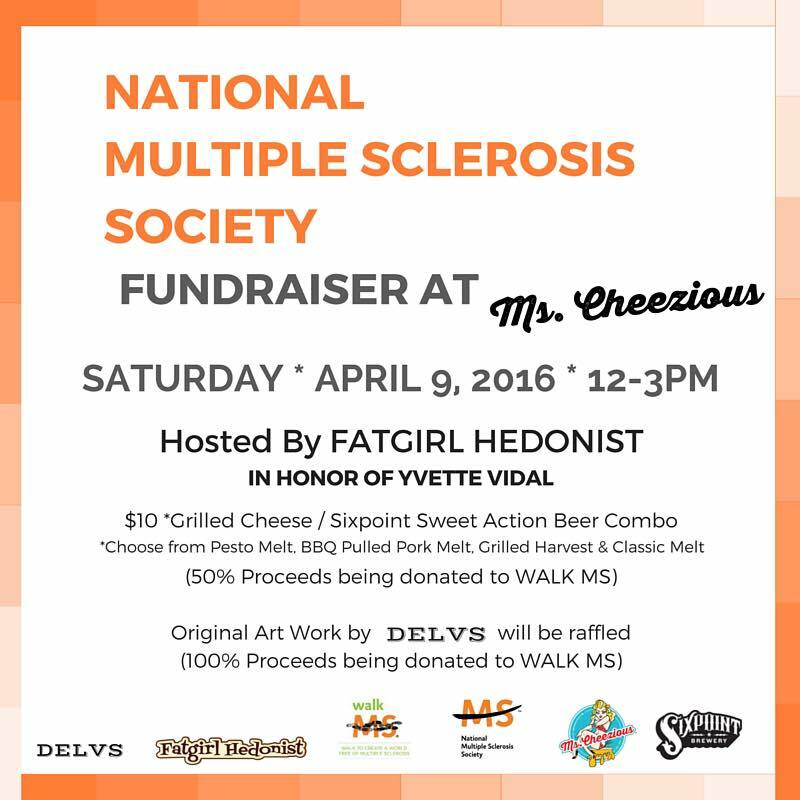 I'm teaming up with the amazing folks at Ms. Cheezious, Sixpoint Brewery, DELVS and The Burger Beast to put together a fundraiser benefitting the 2016 MS Walk and the National Multiple Sclerosis Society in honor of Yvette Vidal. Yvette is one of my oldest friends and was diagnosed with MS nearly 9 years ago. We became friends at an age when your best friend was decided on whether or not a person let you borrow their crayons. Since our days in Mrs. Cox's kindergarten class in North Hialeah Elementary, Yvette has been one of the kindest human beings I've ever known. 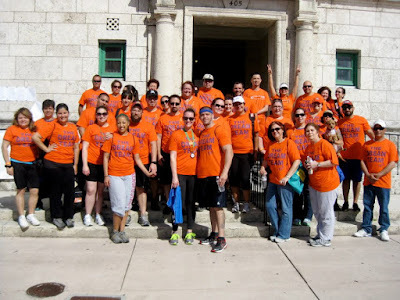 Soon after we had both wrapped up our bachelor degrees at FIU, Yvette was diagnosed with MS. I've never seen someone deal with a diagnosis of this magnitude with such grace and optimism. Yvette has walked for a cure every year since her diagnosis along side her Dream Team. If you'd like to donate directly to the Dream Team's efforts and learn more about Yvette's journey with MS, you can do so here. On April 9, 2016 at 12pm, Ms. Cheezious will be offering up Sixpoint beer & grilled cheese $10 combo specials with 50% of proceeds going to the National Multiple Sclerosis Society. There will also be an original art work by local Miami artist, DELVS, being raffled off with 100% of the proceeds from the art raffle going to the National MS Society. Just added, there will also be two pairs of tickets to Burger Beast's Hamburger House Party raffled off as well! To RSVP and keep up with any and all updates, head here! SEE YOU THERE!